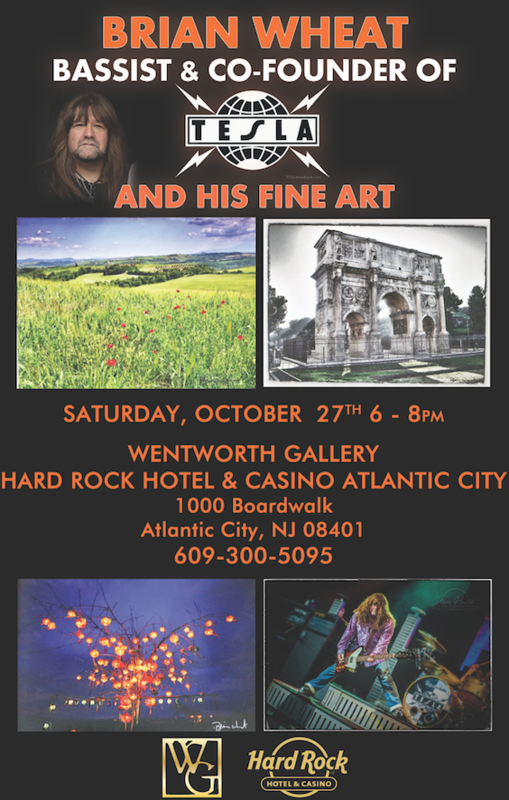 Don’t miss Brian’s first ever art exhibit this month debuting at the Wentworth Gallery at the Hard Rock in Atlantic City. It was on one break from heavy touring that Wheat discovered another deep passion: photography. About 10 years ago, Wheat and his close friend, world-famous rock photographer Ross Halfin, were on a vacation together. Halfin handed Wheat a point and shoot Leica¿a simple yet iconic piece of equipment integral to the practices of a host of gifted photographers throughout history¿and Brian began documenting the world around him. With encouragement from Halfin, one of the sharpest eyes in the business, Wheat began intentionally seeking out new locales and unique settings in which to photograph. For him, photography has become an essential creative outlet and a peaceful, quiet way to ground himself in between intense and exciting periods of touring with Tesla. His artistic practice has continued to evolve naturally, and his current work, known as Enhanced Photography, incorporates photography with painting. Through experimentation with adding pigments and texture to his photographs, Wheat has developed a unique style, resulting in stunning images saturated with color and feeling.